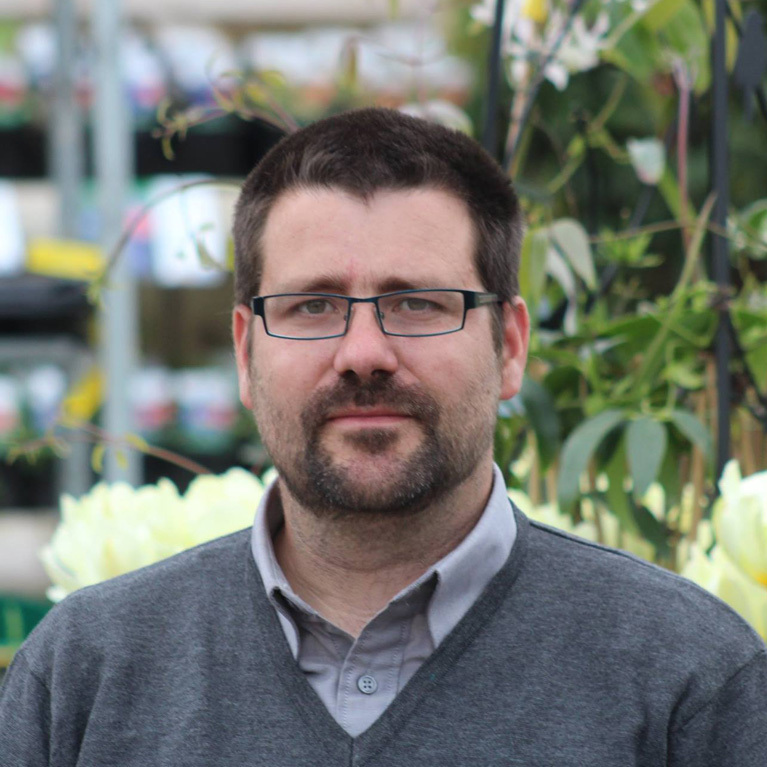 Managing Director at Smith’s Nurseries since 2003; third generation in the Smith’s family business. 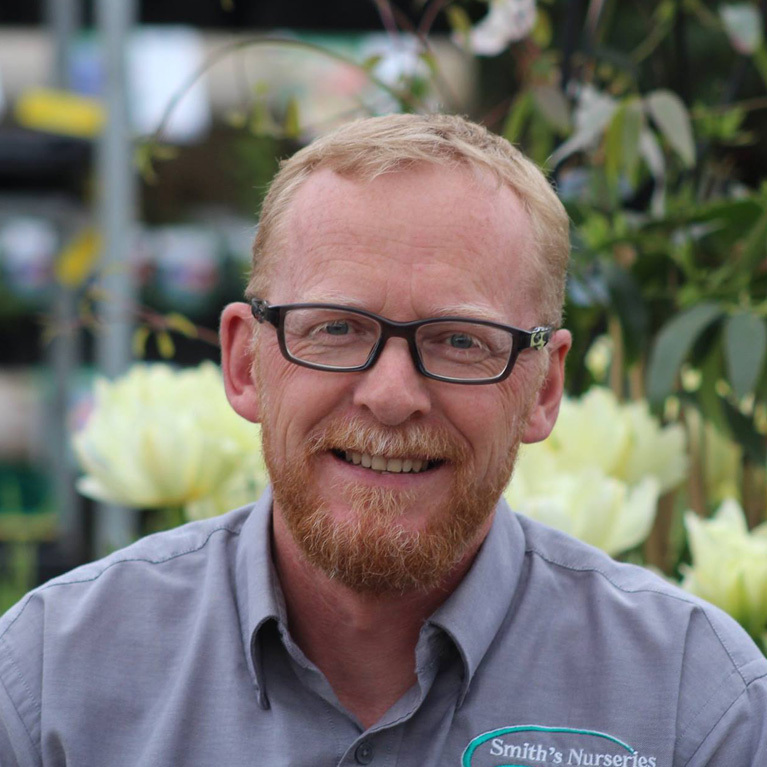 Mick is the brains behind everything that happens at the nursery, and is constantly developing new ideas to drive Smith’s forward. 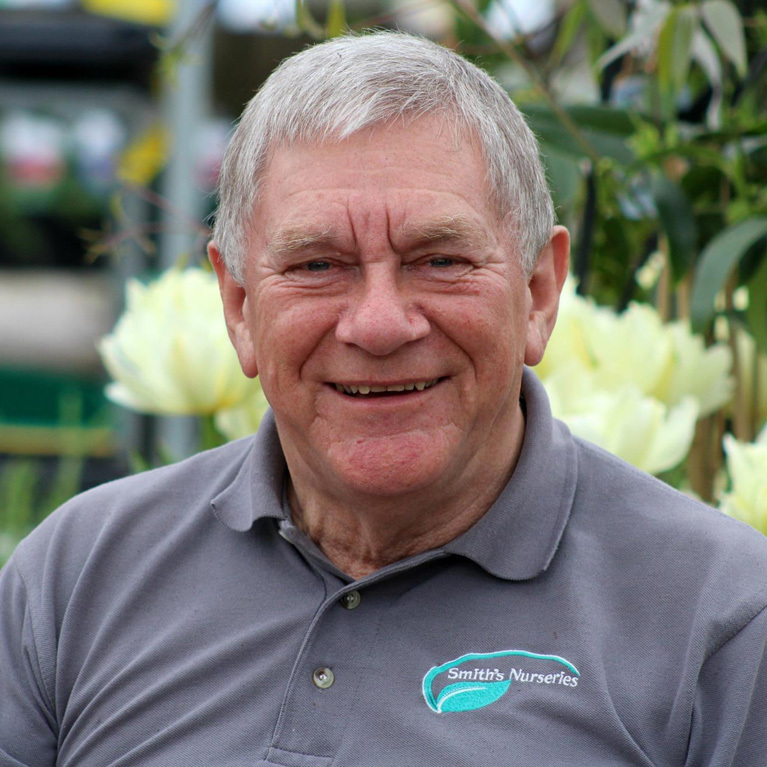 His extensive horticultural knowledge has been gathered whilst growing up around the nursery, ensuring that our plants are always of premium standard. 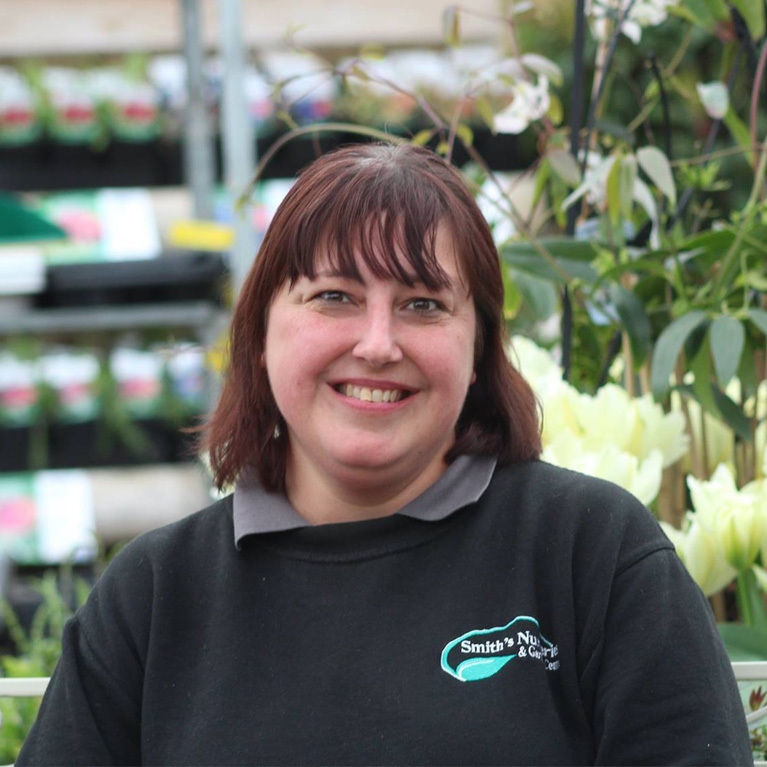 Director at Smith’s Nurseries since 2003, Tara is a fantastic manager of the team with over 20 years experience. 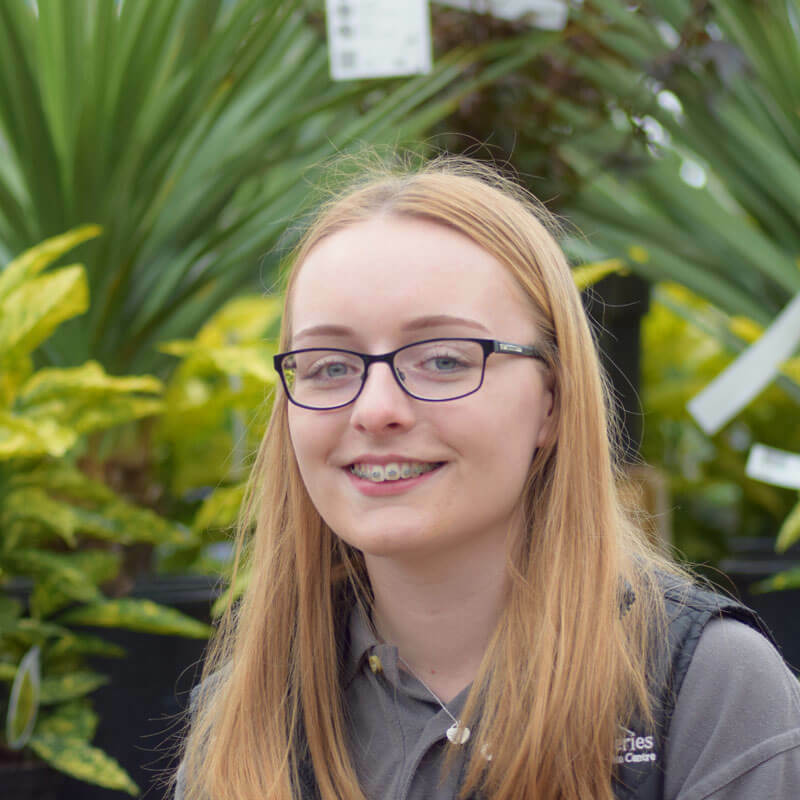 Tara is the most versatile member of our team with her extensive plant knowledge, experience in plant buying, and you’ll often find her confidently running the tills. 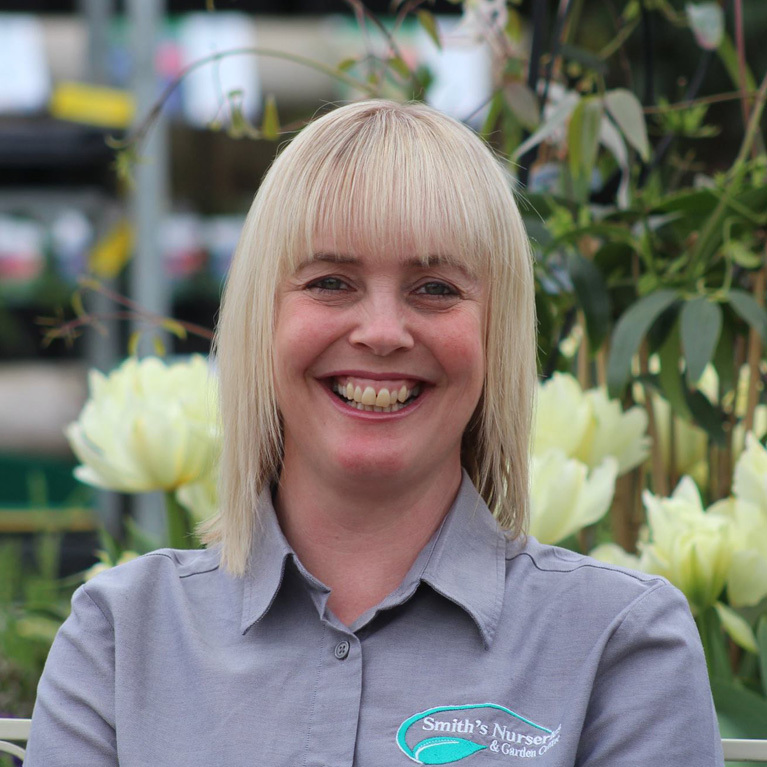 She maintains the high standards of customer experience around the Nursery and has a constant smile on her face. 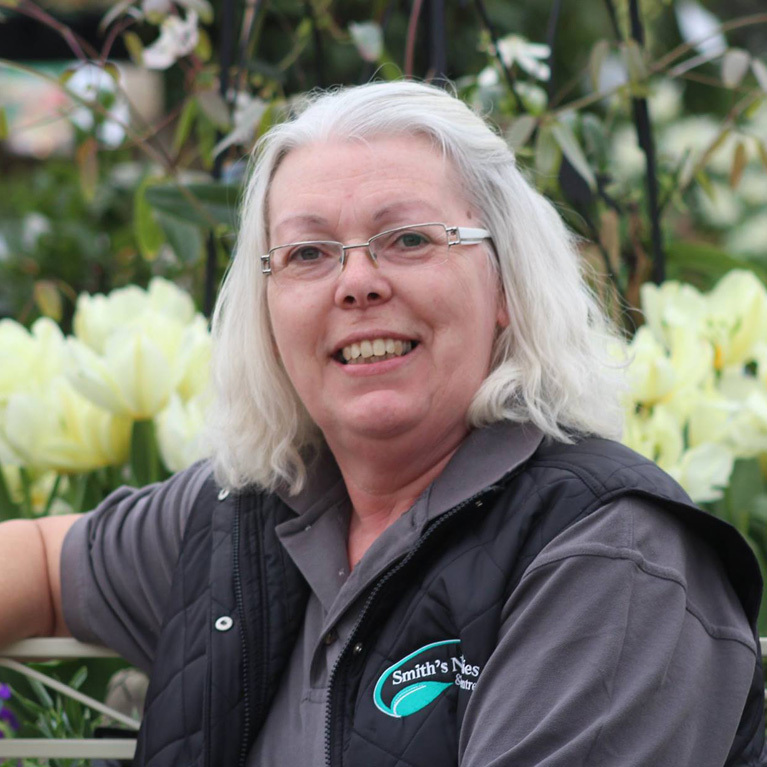 Responsible for growing all of our bedding plants since 2003, Ade is a meticulous member of staff that ensures all of Smith’s bedding meets a high standard. He always keeps the team motivated with his fantastic sense of humour and is Free Radio’s most loyal listener. Responsible for our fantastic selection of home grown perennials. 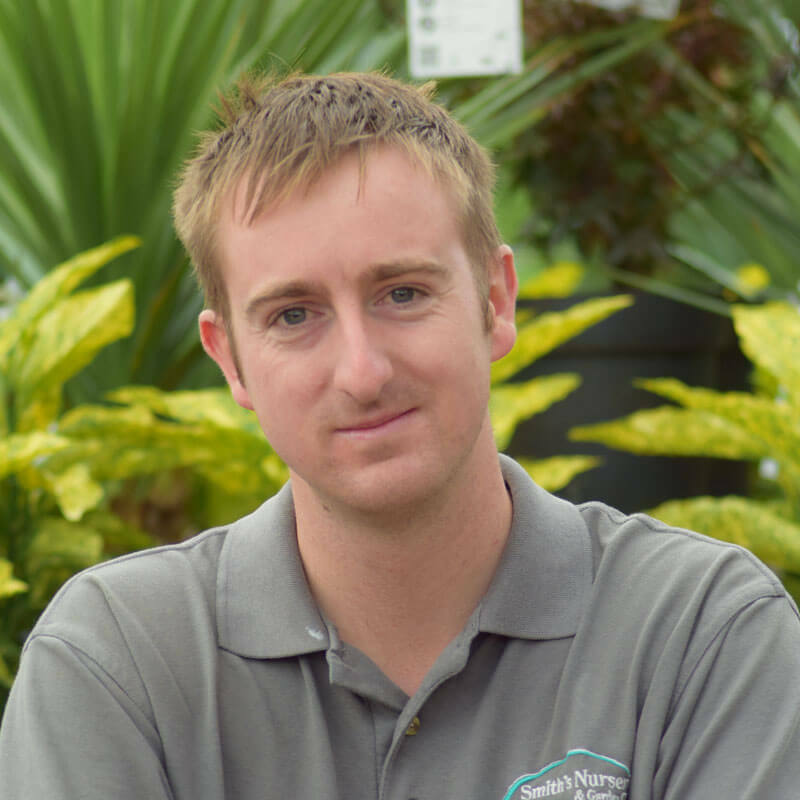 Matt has an extensive plant knowledge that he has gained over many years working in horticulture. He is always happy to share his expertise with our customers, and want’s to please everybody with his friendly and bubbly attitude. If anyone can build it, fix it or solve it, Darius can. 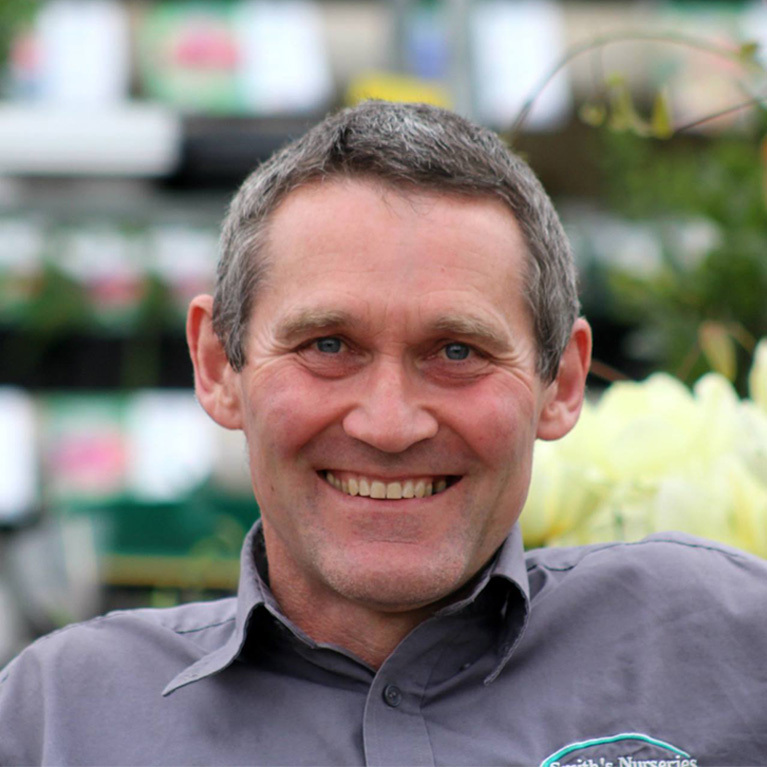 One of the longest standing employees at Smith’s Nurseries, Darius is an expert on the forklift and will often be seen whizzing around making sure everything is running smoothly. 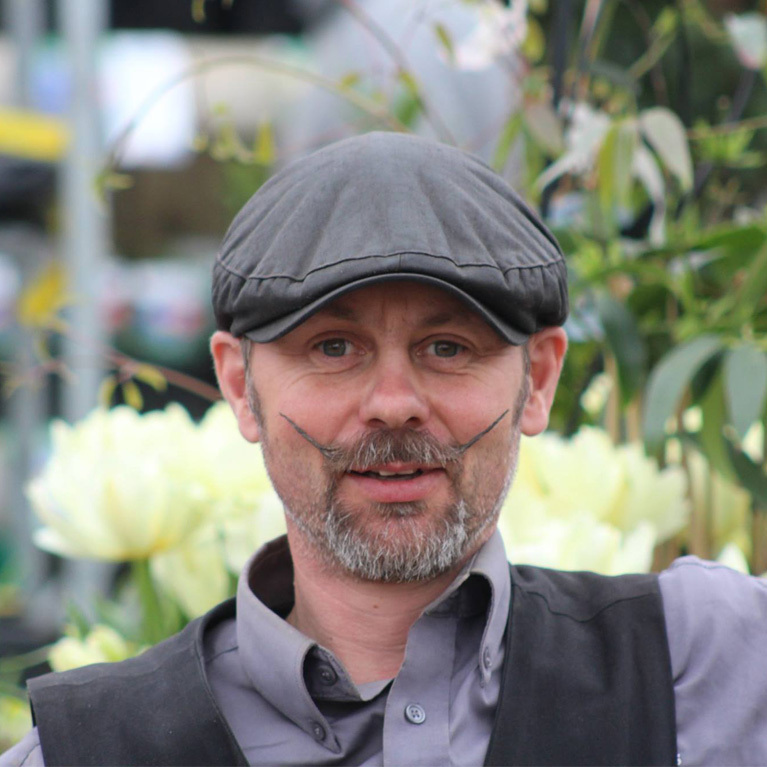 He is our experienced delivery driver that can offer you advice with any building aspects of your dream garden. The second eldest son to Mick and Tara, making him the 4th generation of the Smith’s Nurseries family. Kieran usually works on a Sunday ensuring that Ade has everything he needs for production. When he’s not stocking up compost he’s usually coming up with bizarre and brilliant business ideas. 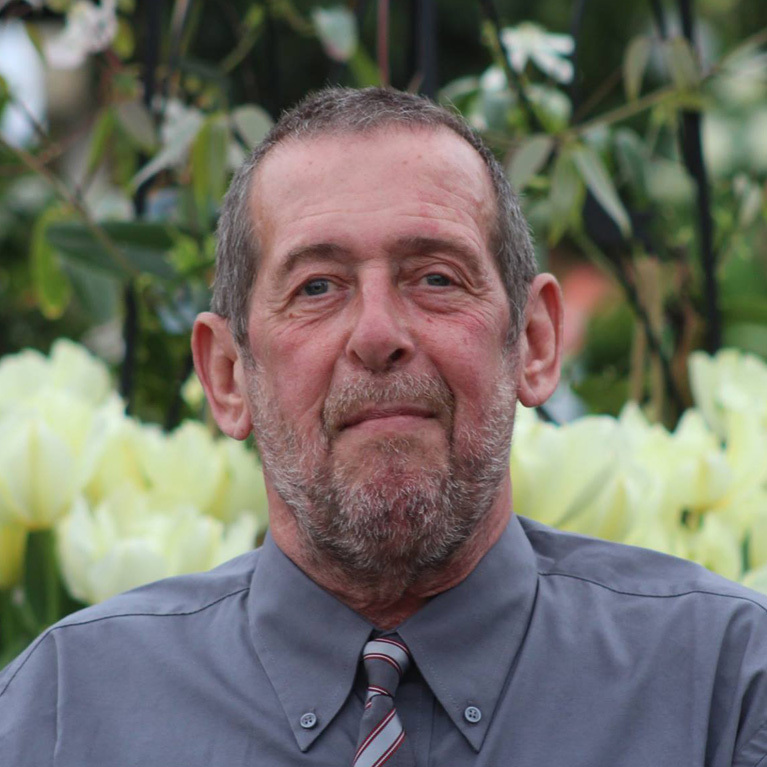 Our resident volunteer at Smith’s, Rick has a cheeky sense of humour that is adored by everyone at the Garden centre. He is on hand to guide you in the right direction, and will happily stop to chat with you about your gardening needs. Although young, Dan seems like he has a whole lifetime of experience behind him, coupled with his vast array of expert knowledge in most areas he will be happy to help you in any way he can. His main responsibility is managing the retail area to ensure that every experience is different from the last. 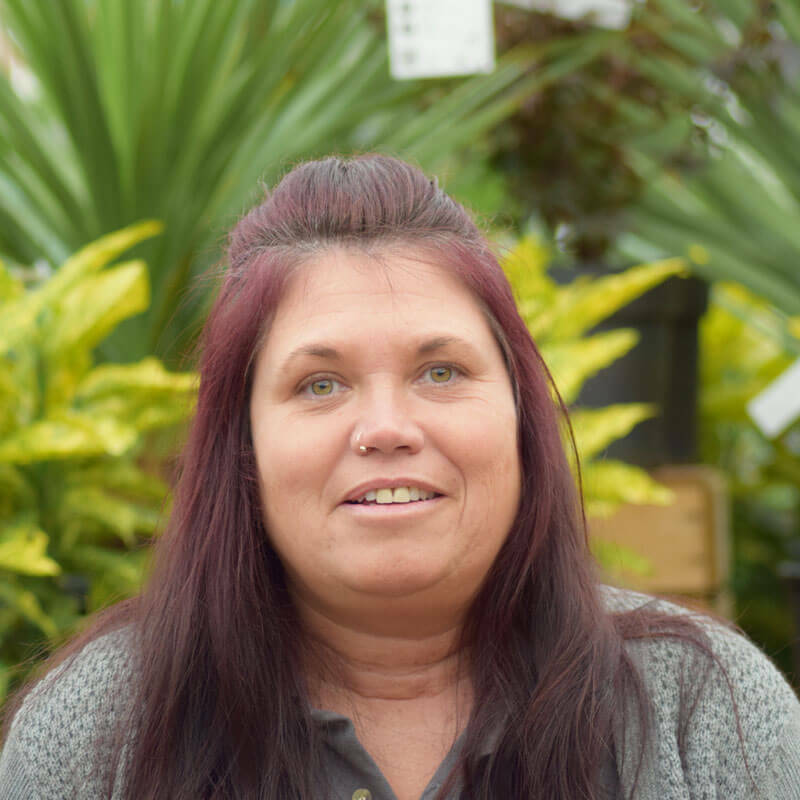 Sue is an extremely hard working member of staff, who works along side Dan to ensure a visually stimulating experience in the retail area. 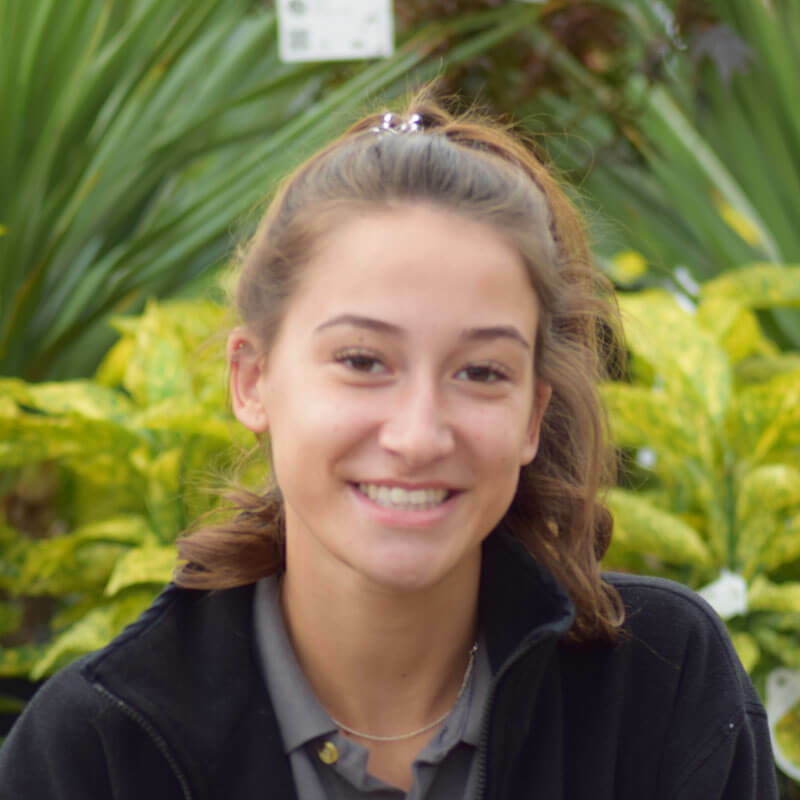 She displays stock to a high standard and is always ready to help anyone in need of assistance with her approachable nature around the nursery. A new member to the team, Julie works maintaining the shop to a high standard and serving customers on the till. 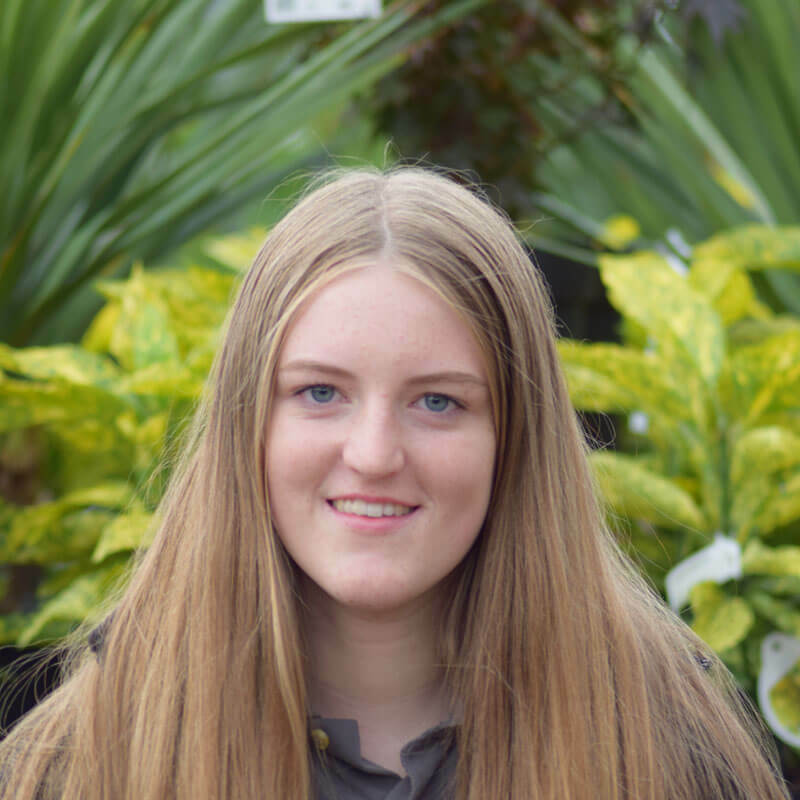 She has an incredibly hard working attitude and a good grounding in horticulture, that makes her more than happy to answer any last minute questions you may have at the tills. 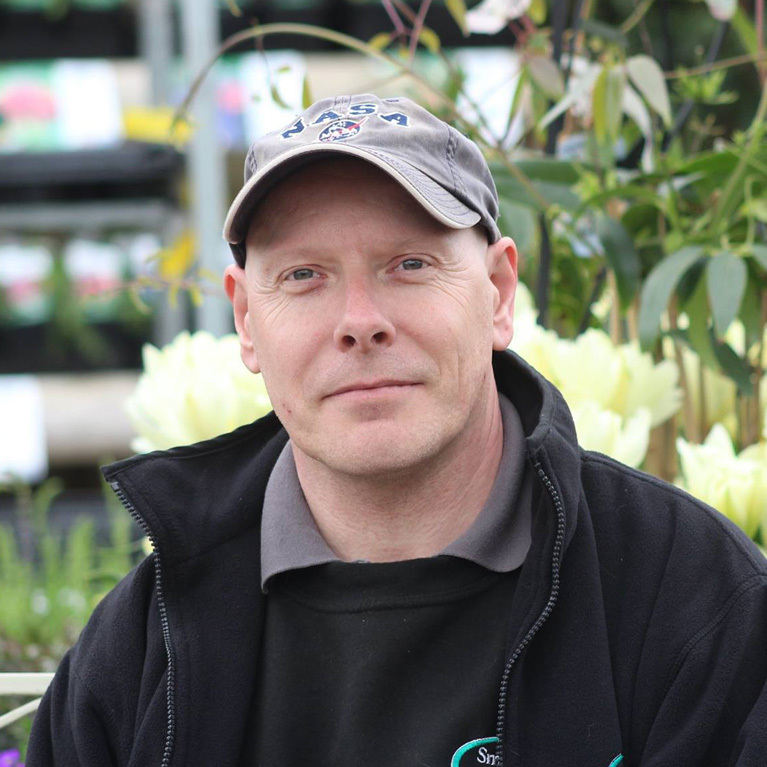 Responsible for keeping the plants in the retail area looking fresh and fantastic, Brian ensures the plants are watered, fed and cared for. 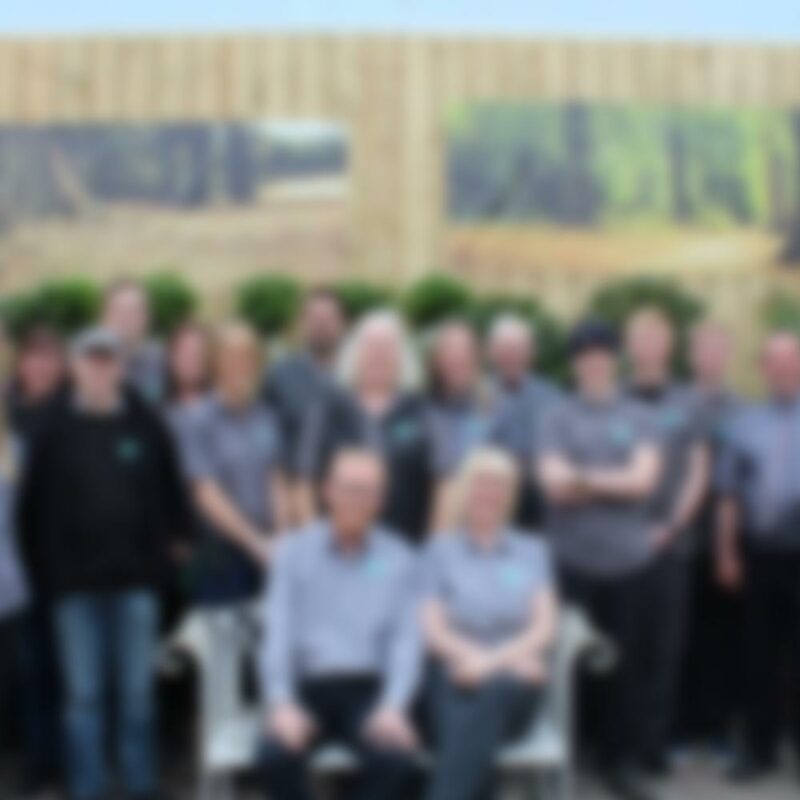 He has been part of the team for 10 years now, and has 40 years of plant knowledge behind him. Brian is always happy to help you with any questions you might have. 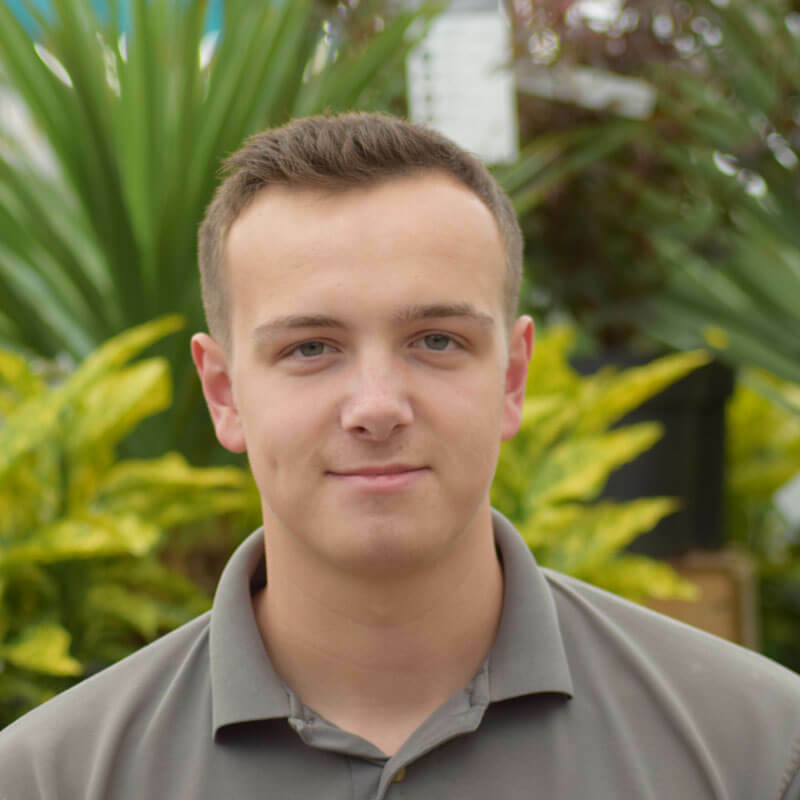 Josh is a hard working individual who is gradually building on his plant knowledge. 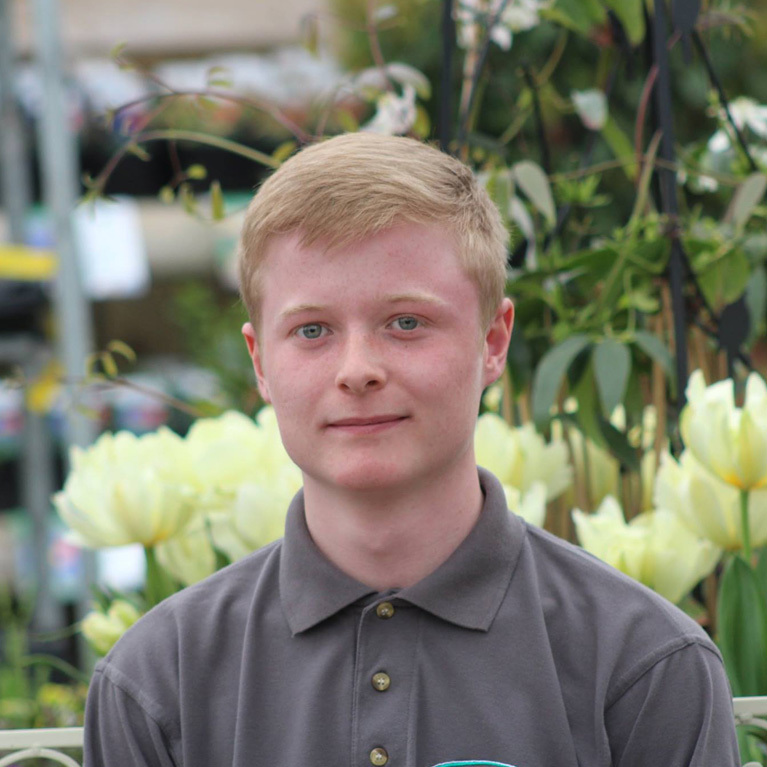 Whilst learning the ropes, he is more than happy to find the right person to help you, and there isn’t anything in the garden centre that Josh can’t lift. Responsible for working at the till on a Saturday, Harriet always has a smile on her face. She confidently serves our customers with ease and care, ensuring you get the help and advice you need from the right person. Responsible for serving our customers when they reach the till on a Saturday, Katie’s really come out of her shell since starting out at the nursery. Her friendly demeanour will ensure you have a great checkout experience. Responsible for serving our customers when they reach the till, Nancy is always bubbly and has an infectious personality. 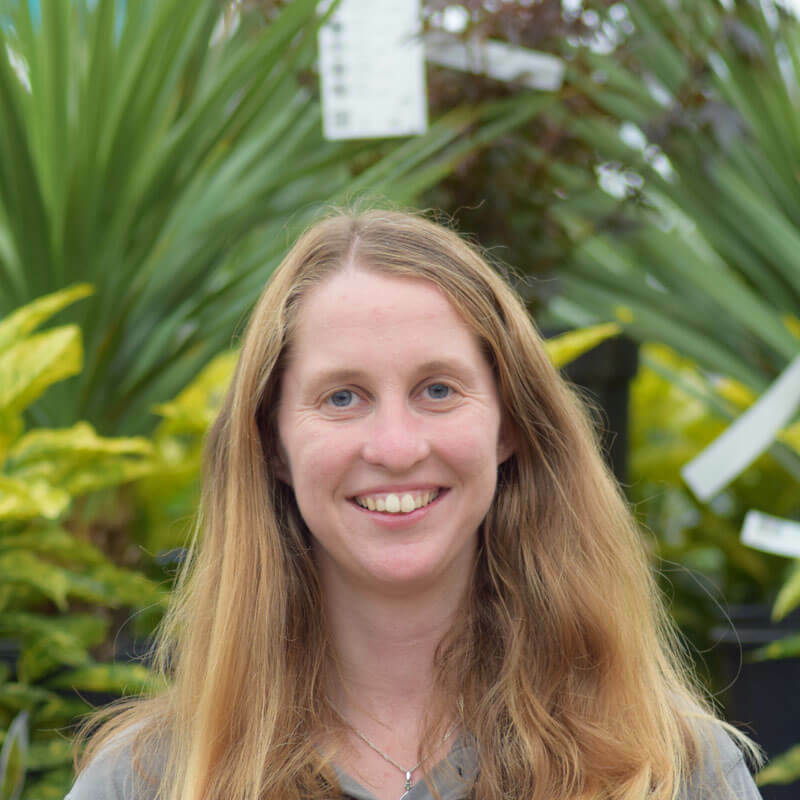 She is a proud Canadian through and through, with a passion for any person and pet dog that comes into the nursery. Responsible for stock control of non-plant items, Gary keeps everything in storage expertly organised. He usually works in the shop assisting the till staff, but also creates events like our ‘stargazing evenings’ and has a real passion for the local community. Responsible for working at the till on a Sunday, Michaela is quietly confident and always on hand to help with her hard working attitude. She is always ready to learn new skills in order to give customers the best experience. 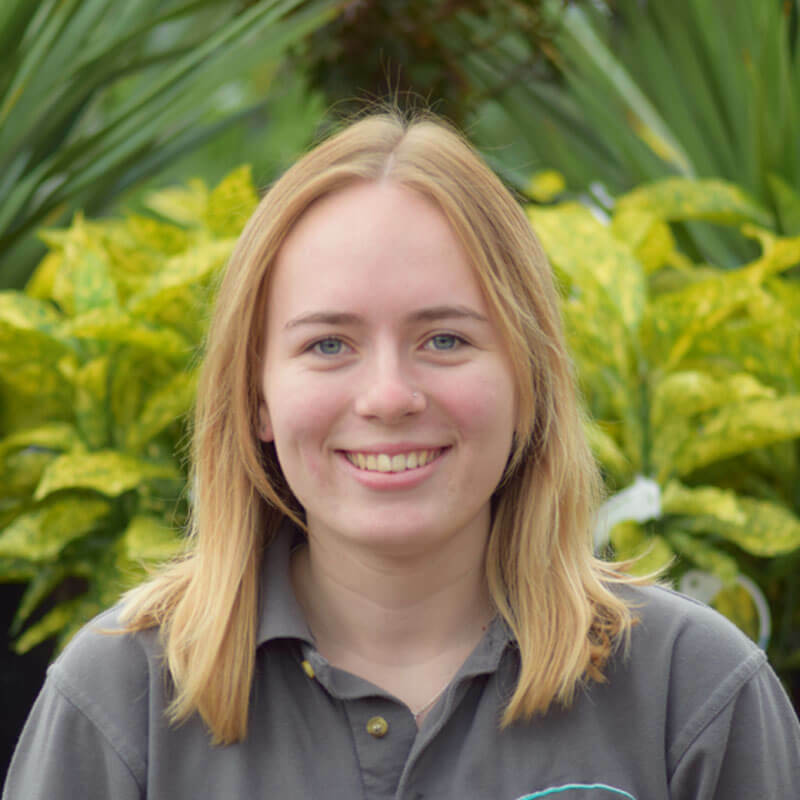 A diverse member of the team, Erin is responsible for keeping our fantastic home grown bedding stocked and presented to a high standard. Her friendly attitude and dedication to customer service will ensure you get the help and advice you need. A new member of the team, Rose is responsible for working at the till and works hard to create a helpful checkout experience. Her bubbly personality is sure to put a smile on your face. She is able to expertly deal with any enquiries that you might have and able to determine who would be best to help you in any scenario.